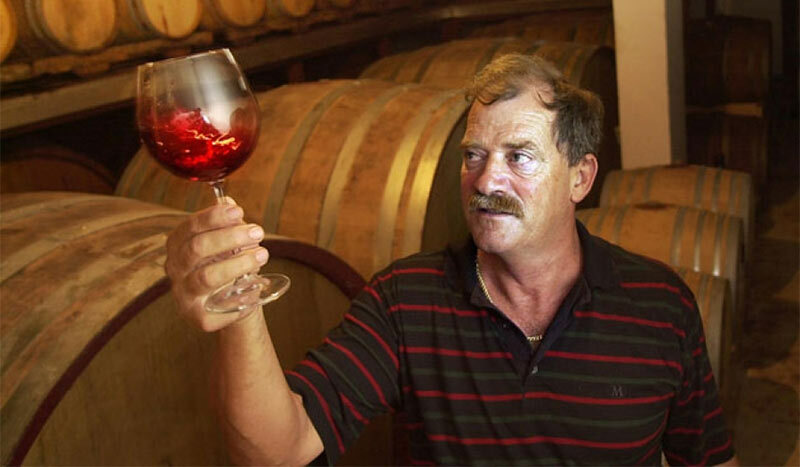 Last Thursday, March 17th, while many were celebrating St. Patrick’s Day, a legend of Croatian wine, Zlatan Plenković died while on a ferry traveling from Split to the island of Hvar. It’s a tragic loss for Croatian wines as he was an iconic figure on the Dalmatian Coast who was always pushing for a higher quality than what was being delivered when he started his winery in 1996 just after Croatia emerged from the Yugoslavian Civil War. When I initially visited the cellars of Dalmatia in 2007 to write the first book for the region, people told me that he constantly had health problems. As that was nearly a decade ago, I thought they were simply rumors or bad Croatian humor. Apparently the years have finally caught up and I hope that the Dalmatian winemakers are ready to carry the region without this pervasive force urging them on. For me, while I never met Zlatan personally (I visited the cellar with his son) he has had a profound and continued effect on my life. On my first trip to Croatia in 2004, his Plavac Mali was the first Croatian wine that I ever tasted when I was at a wine bar in Dubrovnik and asked a friend to try “something local.” Having started working in wine in Napa Valley a couple of years earlier my wine knowledge was basic and I was accustomed to French varieties that are so typical of California. While I’m of Croatian descent, I had never knowingly tried any grapes from the region despite the fact that we all now know that Zinfandel is originally from Croatia and Dalmatia at that. This bottle of Zlatan Plavac opened my palate to new flavors and ideas about how a wine could be made. It was how I first started to understand the importance of typicity and terroir as it was so incredibly different that what I knew from California or what few French wines I’d tried. It encouraged me to learn more about all the wines of the world which in turn had me start working on the Vinologue series of book (which saw Dalmatia as the first region) in order to sate my growing curiosity for wine. This curiosity grew and made me realize that to be immersed in wine meant being in Europe where access to the classic regions of wine is possible. And so, it’s largely due to this one wine that this gregarious, mustachioed Croatian that I never met has led to me sitting in Priorat today writing about wine as I do now. For this, I salute you Zlatan and thank you for your contribution to wine and indeed, to the course of my life. Sad news and sad news for the Croatian Wine industry. I visited Dalmatia i tasted his Plavac Mali and i must say it is lot different than rest. Croatian Wines are best.